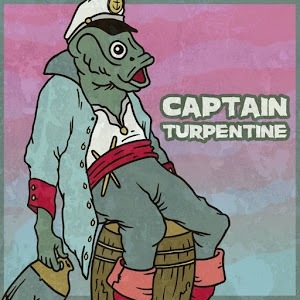 Captain Turpentine is the new 2-song EP by country act Captain Turpentine. The EP is short punchy and exciting, and I highly recommend it. It’s only 5 minutes long so I think you should totally check it out. The first song Captain Turpentine vs the Tonle Sap is a traditional nostalgic country song with some swing and lo-fi aesthetic. Syllables is a lo-fi country love song which really proves the writing capability behind them. I really appreciate the instrumental passage the comes in at the end of the song. However, the first thing you will notice with this EP is the singer Ziad Samman’s vocals. Samman is a very gutteral and intense singer and you might not like them immediately but stick with it. I think it gives the songs a unique flavor and really adds to the aesthetic. Personally I think this EP is pretty great and I recommend checking it out. Look out for these guys. I see a lot of potential.